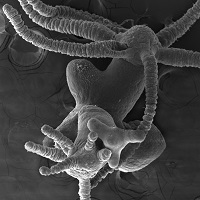 University / Sciences / Section of Biology / Bio.news / Why do Hydra end up with just a single head? The ability of Hydra to regenerate or maintain a single head results from a subtle balance between activating and inhibiting activities. The team of Brigitte Galliot has discovered the identity of the inhibitor and deciphered the dialogue between these two antagonistic activities. This study has been published on January 18, 2019 in Nature Communications.